New Member | Cummings Family Agency Inc.
Join us as we welcome Mason Cummings with Cummings Family Agency Inc. in Midwest City! 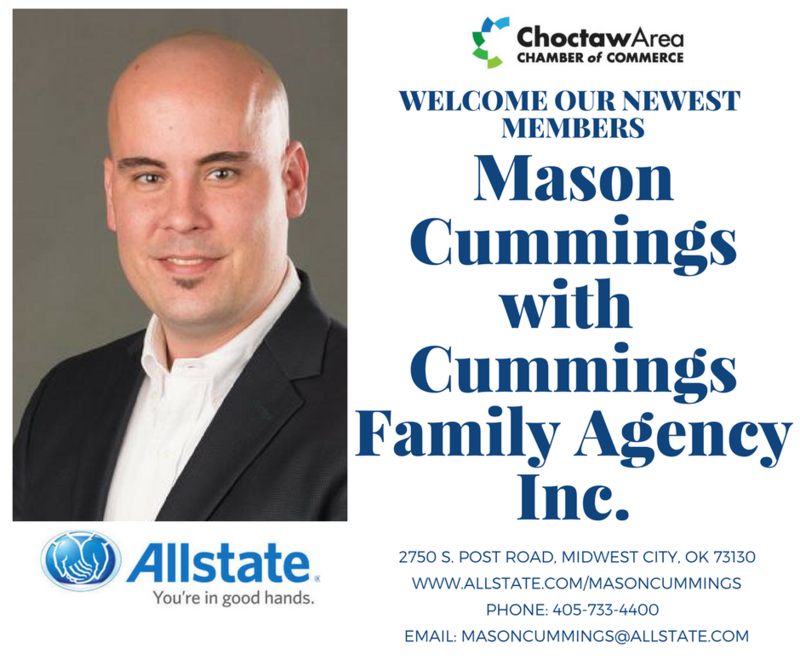 Mason works closely with Allstate to help people in Midwest City and surrounding areas with their insurance and financial needs. Call, email, or stop by their office today to learn how they can help keep you in Good Hands®.